PARENTAL ADVISORY: The following can fairly be called an aggressive salvo in the 'Edition Wars'. Recently on a thread in the Original D&D Discussion group, someone mentioned (with disdain) kits and prestige classes. Having been absent from the hobby for twenty-five years, I only had a vague idea of what prestige classes were. I figured they were like kits--specific and detailed variations on classes that (from an old school approach) were unnecessary and inadvisable for a number of reasons. I was right on the main. But quite frankly I had no idea of the extent of them. I figured 3e included a few extra classes like Thief-Acrobat, Cavalier, Super Duper Anti-Paladin, or whatever. But a quick check on Wikipedia showed that I was, well, naive on the matter. The entry specifies over 800 prestige classes, all described in official TSR or Wizards of the Coast publications. So we go from 3 (or 6) classes in original 0e to 11 in 1e, dipping down to 8 in 2e to 800+ in 3e. Now I know that's a slightly unfair way of counting things as each edition featured supplemental material that upped the overall total somewhat. There were, for example, over 300 kits in the so-called 2e 'splatbooks', which obviously laid the groundwork for the explosion of prestige classes in the next edition. But still. Your Pizza's Here. Aren't You The Guy That Ordinated It? Okay, so I added a few lines just to see if anyone was paying attention. But 99% of the above is 100% accurate. What are we to say of them all? And those are just the knights. And those are just the D's. I'm not in favor of censorship actually. But in honesty, if I were (please note the if), forget about D.H. Lawrence, Nietzsche and The Anarchist's Cookbook. I'd settle for banning prestige classes and be done with it. Would Congress go for that? When he adopts a defensive stance, a defender gains phenomenal strength and durability, but he cannot move from the spot he is defending. He gains +2 to Strength, +4 to Constitution, a +2 resistance bonus on all saves, and a +4 dodge bonus to AC. The increase in Constitution increases the defender’s hit points by 2 points per level, but these hit points go away at the end of the defensive stance when the Constitution score drops back 4 points. These extra hit points are not lost first the way temporary hit points are. While in a defensive stance, a defender cannot use skills or abilities that would require him to shift his position. A defensive stance lasts for a number of rounds equal to 3 + the character’s (newly improved) Constitution modifier. A defender may end his defensive stance voluntarily prior to this limit. At the end of the defensive stance, the defender is winded and takes a -2 penalty to Strength for the duration of that encounter. A defender can only use his defensive stance a certain number of times per day as determined by his level (see Table: The Dwarven Defender). Using the defensive stance takes no time itself, but a defender can only do so during his action. When he adopts a defensive stance, a defender gains phenomenal strength and durability, but he cannot move from the spot he is defending. He gains +2 to Strength, +4 to Constitution, a +2 resistance bonus on all saves, and a +4 dodge bonus to AC. The increase in Constitution increases the defender’s hit points by 2 points per level, but these hit points go away at the end of the defensive stance when the Constitution score drops back 4 points. These extra hit points are not lost first the way temporary hit points are. While in a defensive stance, a defender cannot use skills or abilities that would require him to shift his position. A defensive stance lasts for a number of rounds equal to 3 + the character’s (newly improved) Constitution modifier. A defender may end his defensive stance voluntarily prior to this limit. At the end of the defensive stance, the defender is winded and takes a -2 penalty to Strength for the duration of that encounter. 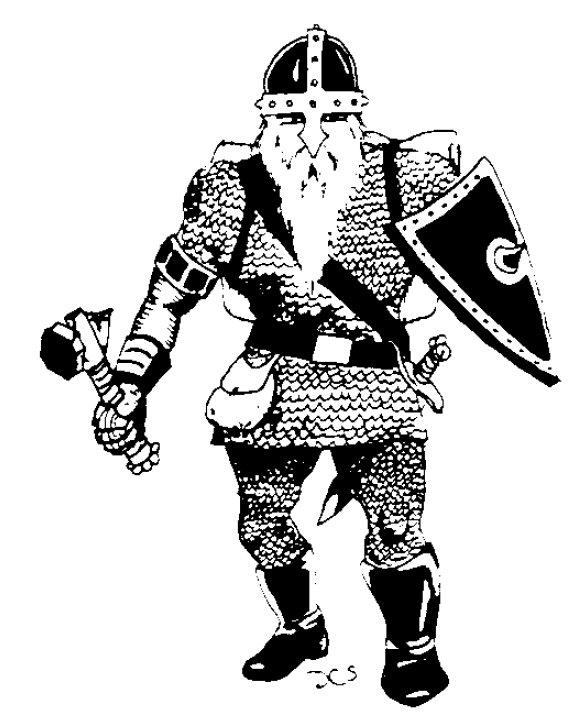 A defender can only use his defensive stance a certain number of times per day as determined by his level (see Table: The Dwarven Defender). Using the defensive stance takes no time itself, but a defender can only do so during his action. Hmm. Interesting. Okay, here's my alternative suggestion. You want to be a Dwarven Defender? Okay, just be a Dwarven Defender. Act like one. Stand there on the stairs as the Orcs are coming up them and hit them with your axe, one by one. Make notches somewhere to record your kills. When your axe becomes ineffective (at on average about 30 Orcs or so), throw it away and grab a spare. And so on. Why must all of this be done for you (and then described in the most needlessly complicated and excruciatingly boring way possible)? Is it because your imagination (you are a twelve year old) isn't good enough? Do you need the experts at Wizards of the Coast to help you on that? THE PARENTAL ADVISORY IS NOW OVER. GO BACK TO YOUR STATIONS. Whatever your group wants to do is okay as long as your group wants to do it. Kumbaya, my Lord, and all that. If you want to build a Breachgnome, go for it! Those three prestige classes you pointed out are all campaign-specific ones, they made a lot of prestige classes that were thematic to certain worlds, and a prestige class usually offered extra powerful abilities but you only got 10 levels worth of as prestige class. It was a neat system, but you're absolutely right, there were way too many of them and most of them were ridiculous. Can you even imagine trying to get all the rules for all the classes to work together in some halfway reasonable fashion? Must have been insane. Well I've played a good deal of 3.5 and weirdly never seen anyone take levels in a prestige class, so it certainly wasn't integral to the system. Nice article. I think it also comes under the idea of "rules bloat" where you just have so many different character classes and expansion rules that you can't keep track. It's like that in many games - Pathfinder, Rifts, and even Warhammer 40K amongst others. This inevitable ends up leading to "power creep" as each new book's classes get more cool powers than the last...until the original rulebook's classes are totally useless in favour of the "Super-Warrior of Awesomeness." Totally agree about just _playing_ the character as they should be played. I mean...that's Role Playing is it not? That being said, the D&D rules were not all that flexible when it came to individual combat style (there really wasn't much of that) and even characters. I mean, how many generic "elven archers" have you seen around the place? Loads. Which means it's way too easy to have carbon-copy characters. Sweet mother of Christmas. I think I'll stick to Cleric, Fighting-Man, Magic-User, and Thief. Unless I'm playing Astonishing Swordsmen & Sorcerors of Hyperborea, in which case, I'll generally go for any of the classes in that game and the ones in Scott Moberly's fanzine. But yeah. When there becomes more classes than dice can fit in a fishbowl, it's time for me to find another game! Thank you for the analysis, Oakes! Having played in the 3/3.5 era, I can say that as a DM all the prestige classes drove me nuts. Especially, as mentioned, they were not designed to all work together, and many players derived great joy from finding all the broken class combinations that made them uber-munchkin-style powerful. It took me a long time to understand what it was really all about. As with you, I come from the school of "if you want to play that kind of character, just play it..." But the thing is, a lot of the younger crowd and even older players then new to D&D didn't see it that way. As has been discussed elsewhere and more in depth, Old School gaming was/is more about building a character through in-game experiences, i.e. creating a character history through adventure; modern gaming styles, influenced from console/computer RPGs, is more about character building in the statistical abstract, i.e. building the character stats and abilities, with adventures providing the resources (XP) by which a character can be built. I went cross-eyed somewhere in the middle, but then I got better. I loathe the prestige classes of 3e. When I first read about them in Dragon before 3e released I thought, "Hey, kits." Now being a big 2e player I did like kits. Well, I liked some kits. I thought the fighter kits were nice because they gave the fighter, an otherwise boring character, a bit of depth. It was also the only way in 2e to get the cavalier back, albeit modified, but better balanced. I can't believe I just said balanced. Then the next complete handbook came out and the next one and suddenly I wasn't so happy with the kits anymore. When you see all those prestige classes in a list it boggles the mind. So many of them are so narrowly focused, due to campaign settings and such, as to be pointless. They point to a major problem with 3e, which is that the adventurer is no longer an adventurer. The adventurer is just a dude doing a job. Many of those prestige classes are, effectively, jobs that NPCs should be doing. Do you want to tie your character permanently to the fate of a political system by being a secret spy for them? Not me, mate. I've got dungeons to delve and property to take from the inhabitants of said dungeons. It's just too much work to try to justify why my special knight of a special cult is off helping a village in lands that are not my own. Yes. Exactly so. I wonder how many players chose one of these at some point, reveling in the frisson of it for a few hours, and then all but forgot about it later as they--as you so well reference--went back to killing monsters and taking their stuff.